Do birds eat butterflies? I know it can be hard to digest (no pun intended) but there are some birds that will eat butterflies. It is not something that people like to hear or see for that matter but it does happen. Birds need to eat too as it is all part of the food chain. 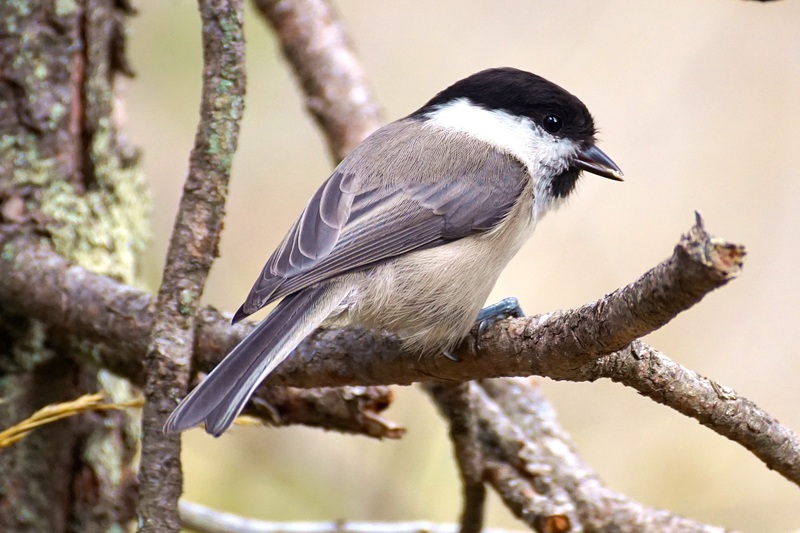 The good news is that birds tend to eat the butterfly eggs, larva, and caterpillars more so than the adult butterfly itself, but they do still get eaten nonetheless. Birds eat moths too. It actually can be a good thing that birds eat butterflies, caterpillars, larva, and butterfly eggs as you will soon find out. Read on…..
Warblers eat butterflies but mostly caterpillars, spiders, moths, and flies. Sparrows eat butterflies but mostly eat grains and seeds. Orioles eat insects (butterflies), fruit and nectar. The Black-backed Oriole found in central Mexico likes to feed on Monarch Butterflies. Grosbeaks, especially the Black-headed Grosbeak found in the western half of the United States also like to feed on Monarch Butterflies. The Rose-breasted Grosbeak feeds mainly on insects, bees, ants, and butterfly larvae. 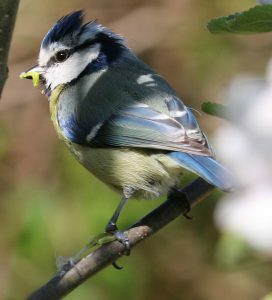 Blue jays eat mostly nuts, seeds, and acorns but will also eat beetles and caterpillars. Of course they have also been known to eat baby birds :-(. Martins eat mostly insects while in flight feeding on their favorite which is dragonflies, but also house flies, moths, and butterflies. Great Crested Flycatchers breed in the eastern United States and eat mainly insects such as butterflies, moths, beetles, wasps, flies, and spiders. They also eat small fruits. Tanagers eat mostly insects including caterpillars but also eat fruits and berries. Northern Mockingbirds eat grasshoppers, beetles, and caterpillars in the summer and eat berries and suet in winter. Not all butterflies taste the same. There are some that are more toxic for birds and because of that (based on previous experience eating them and getting sick) birds will not eat them. The bright colored Monarch Butterflies are a good example. As larvae they feed primarily on milkweed. Milkweed contains a chemical called cardia glycosides which becomes absorbed in a butterfly’s body. It doesn’t harm them but is not very tasty for birds (a bitter taste) which usually causes them to vomit after eating them. 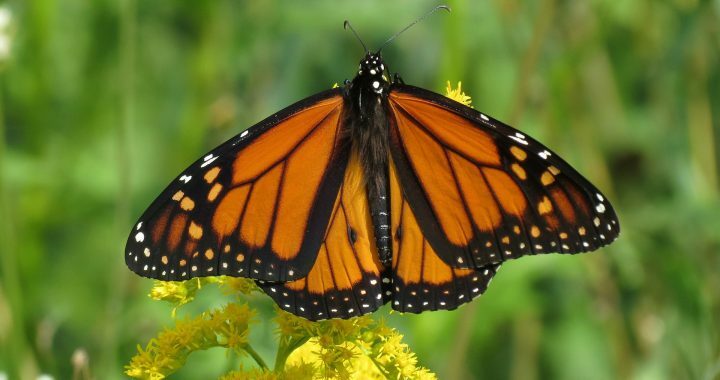 Birds also recognize other butterflies that have the same bright coloring as the Monarch and think that they too must be avoided because of they also have that bitter taste. However, there are some birds that learn to work around this problem. Orioles and Grosbeaks for example, will slice open the abdomen of these butterflies before eating them to gauge the toxicity level. If they are good to go they get eaten. The wings are not eaten however because the most nutritious parts are in the body of the butterfly. Note: There are other predators of butterflies and their eggs and caterpillars besides birds. Frogs, spiders, toads, dragonflies, rats, lizards, and snakes also feed on them. Another Note – Believe it or not in some countries butterflies are considered a delicacy. People in Mexico, Africa, and Southern Asia eat butterflies as an appetizer or dessert. How Do Butterflies Avoid Predators? 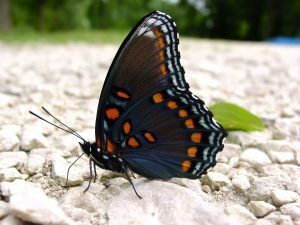 If you have ever seen the Red Spotted Purple Butterfly you will notice that it has beautiful irridescent blue to bluish green with red spots on it and its underside is a more drab grey color. This is because when they fold up their wings they blend in more with their surroundings. That helps them to protect themselves from predators. Some butterflies are poisonous to predators. The Monarch Butterfly that I mentioned earlier falls into this category. Other butterflies like the Common Brimstone Butterfly with its solid light green coloring, blends right in with the foilage. There are many moths that have a camouflage coloring too that blend well into their environment. In some cases this can be a true statement. It is not necessarily the adult butterfly or moth, which helps in the pollination process in your garden, but the caterpillars. 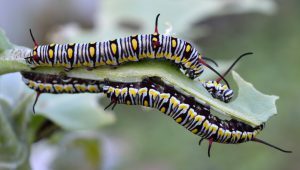 If there are certain plants in your garden that these caterpillars love to eat and there is an abundance of these little creatures, then they can be considered pretty destructive. That is where you run into problems in your garden. So it really is beneficial for butterflies to have predators such as birds, frogs, spiders, dragonflies and so on. By eating the eggs, larva, and caterpillars, and adult butterflies these predators keep down the populations which is better for the environment. Yes, birds eat butterflies and also butterfly eggs, larva, and the caterpillars. So do frogs, spiders, dragonflies, lizards and snakes. It is not what people want to hear because butterflies are very beautiful creatures and who doesn’t like to see them in their own garden. The good news is that some butterflies are not very tasty to their predators such as the Monarch Butterfly. 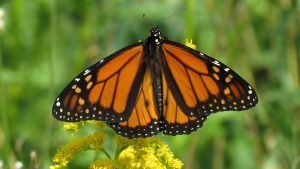 The reason being is because as larvae they feed on milkweed which has cardiac glycosides in it that absorbs into their bodies as adult butterflies. It doesn’t harm the butterflies but it is toxic for predators who eat them and makes them sick. Not all butterflies are toxic like the Monarch but you may notice that butterflies may be very bright on the top side but on their underparts the colors are more duller in color. When predators are near these butterflies can close up their wings revealing this dull underside. This makes them more camouflaged in their environment and protects them from getting eaten. Other butterflies just blend into their environment because they have camouflaged coloring on both sides of their wings and bodies which helps protect them. These protection mechanisms are not necessarily a guarantee that they won’t get eaten anyway (foodchain), but it is good to know that they won’t all get wiped out in your garden. Do you have any thoughts about this? Please feel free to make your comments below. They are always welcome. Posted in Attract Butterflies, Backyard Birds and tagged birds, butterflies.